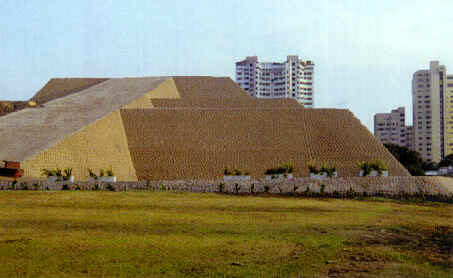 When I was in Taiwan about 40 years ago, I was given a book about PYRAMID by a friend. I became interested in knowing more about the pyramids and its mysterious power. The pyramid power is one of the several alternative theories referred to as "pyramidology". Some books say that pyramids act as an effective resonator of randomly polarized microwave signals, which can be converted into electrical energy. Others say that pyramid can enhance the nutritional value of foods. Other books say that pyramid can sharpen knives or razor blades by placing them under a certain direction. Plants, yeasts, molds (fungi), fruits, wines, etc., placed inside the pyramid will show some miraculous changes. By knowing these fantasies, I constructed a bamboo pyramid in five square meter lot as soon as I returned to Osaka. Many of us who constructed pyramid house for experimental purpose were convinced to find its wonderful power. 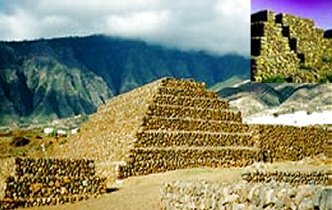 The Egyptians and Mayans were not the only pyramid builders. There are many pyramids around the world, many of which are still unexplored. 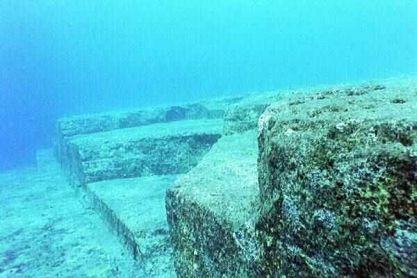 The Chinese have pyramids and the largest known pyramid can be found in China. 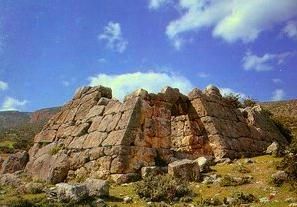 Many ancient pyramid sites were built with precise cut stone blocks that fit so perfectly together. 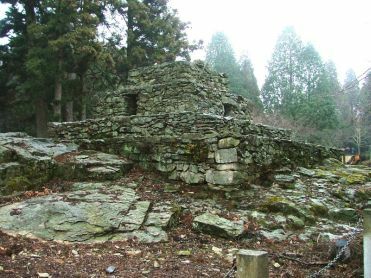 How they were built remains a mystery. Do the ancient people have knowledge of levitation and great understanding of sound vibration or what? There are more in Peru, Mexico, Brazil, Mississippi, Bolivia and many other places of the world. 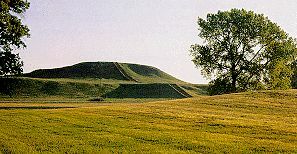 According to some researchers, there are about 450 pyramids or even more. The word PYRAMID is derived from the Latin word "PYRA", meaning or "fire" or "light", and "MID" means "center core". Now, you understand that PYRAMID means "fire in the middle". Do you remember a passage in the Bible that there the Angel of the Lord appeared to Moses in flames of fire from within a bush. Moses saw that the bush was all aflame yet remained intact, unaffected by the fire. So Moses thought, "I must turn aside to look at this marvelous sight; why doesn't the bush burn?" Thousands of people have seen burning pyramid, and some of them tried to take pictures of it, but they failed. What's happening? A woman scientist from UK entered inside a pyramid in Egypt to conduct studies. After a week of study, she went back to her hometown in UK. And there she noticed that her breast cancer was gone. We have heard many sick people who were cured after they entered the pyramid. Knowing these strange and mysterious phenomena, I tried to place several items inside the bamboo pyramid constructed in my backyard garden and observed. I also tried to be inside, and found that my allergy symptoms for blue fish like sardines was eradicated. I tried to ask several sick people to stay inside the pyramid, but failed to find good result. Later, I understand that the pyramid structure should be as wide as 10 square meters in size for treating sick people. Not all of us have enough space or lot to build such big pyramid. I thought of making an electronics pyramid as small as a portable radio, in order to produce similar energy as good as that of a real pyramid. Several years of observations and studies about pyramids, I came to know the reason why mysterious and strange phenomena exist and occur inside the pyramid structure. In about 1967, I was able to make an electronics machine that can produce similar waves and signals, similar to that of pyramid. And in 1968, I was able to duplicate the pyramid in electronics way, although it was not perfect. The small electronics machine could produce pyramid energy almost equivalent to that of 20 – 30 square meter sized pyramid structure. Since then, I also learned the cause of diseases as well as their eradication methods. There are various kinds of energy forces surrounding us, and some are essential to our living and some are harmful. There are waves or energy forces that surround our body and create viruses. There are waves or energy forces that can repel or destroy these harmful waves or energies. There are waves or energy forces that can destroy even bacteria or toxic elements. There are waves or energy that can stimulate our nerve cells or nervous system and rejuvenate its function. I then realized that pyramid structure has many good effects in our living. Did you know that mummies kept inside the pyramid are more intact compare to mummies found on other places? The first electronics machine that can produce signals, waves, and energies similar to that of pyramids, is the one I named as PYRO-ENERGEN, 40 years past from now. Today, 2007, I was able to improve the electronics machine, duplicate of pyramid and as good as the original pyramid in Egypt. Its features and functions were adapted for eradicating bacteria, fungi, other toxic elements, and for stimulating the nervous system or its cells to be replaced with new cells in order to recover good health in shortest period of time. Of course, to make this latest PYRO-ENERGEN II, there were great helps by friends of our medical staffs and electronics technicians. To those who have enough lot in your backyard garden, we recommend you to build pyramidal structures using any materials. Lastly, I do not say that PYRO-ENERGEN II is somewhat a duplicate of a pyramid. It is as sufficient as pyramid or vice versa. PYRO-ENERGEN II works more than pyramidal structures you make, and it shows you fantastic and miraculous phenomena before your eyes. You can use PYRO-ENERGEN II for experimentation of sharpening knives or razor blades by placing them under a certain direction and heights. Plants, yeasts, molds (fungi), fruits, wines, etc., placed on the PYRO-ENERGEN II plate will show the same miraculous changes. You can enjoy another angle of fantasy in front of your eyes in your room with PYRO-ENERGEN II, and you can add your new finding in the list of pyramidology or PYRO-ENERGEN technology.